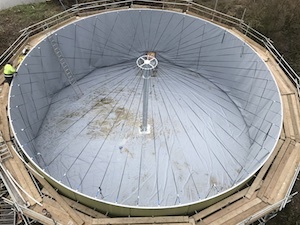 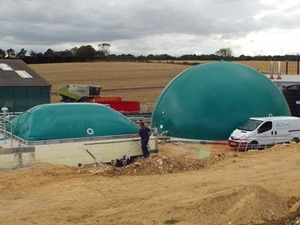 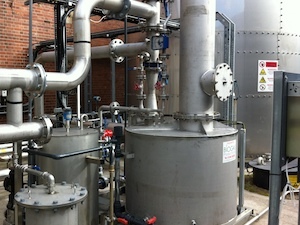 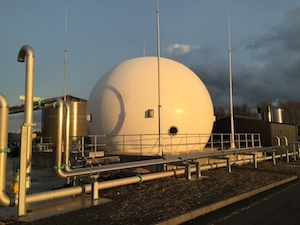 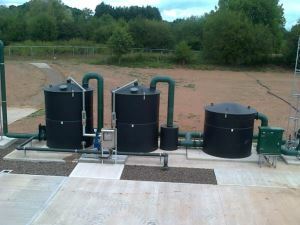 Digester produced biogas is 100% water saturated. 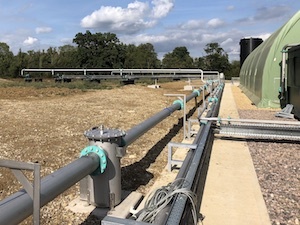 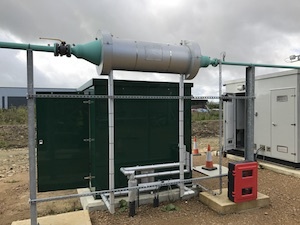 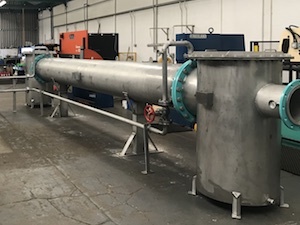 The naturally cooling biogas, moving from the digester to the engine, will release large amounts of water into the gas pipework system. 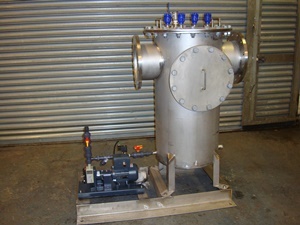 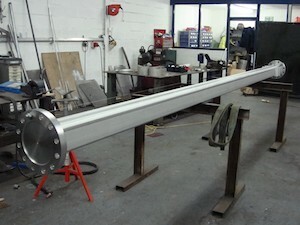 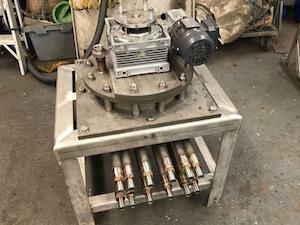 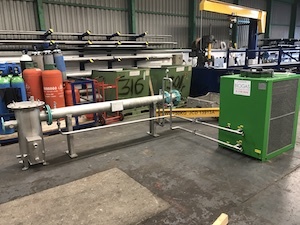 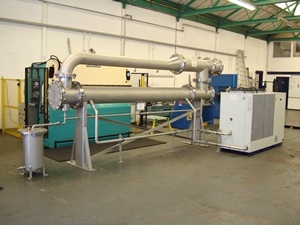 This has the potential to block pipework and damage mechanical plant. 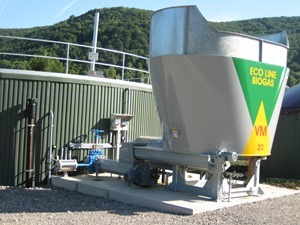 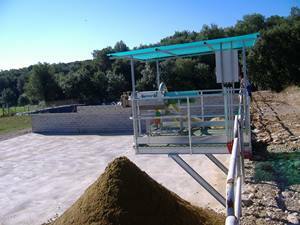 We recommend a biogas cooler is located as close to the digester biogas outlet as possible to cool the biogas. 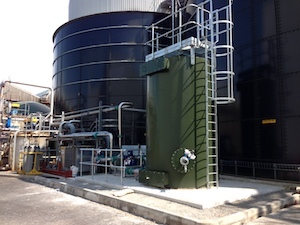 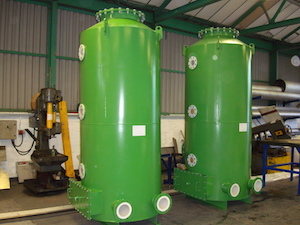 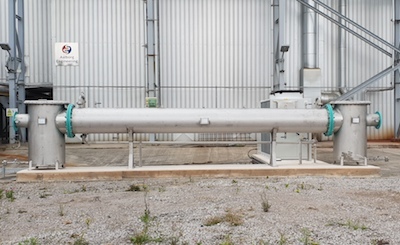 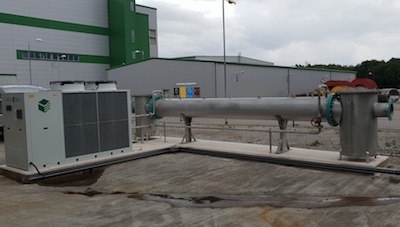 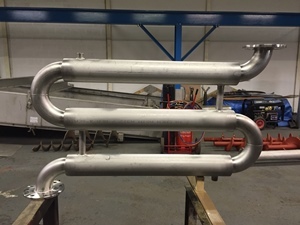 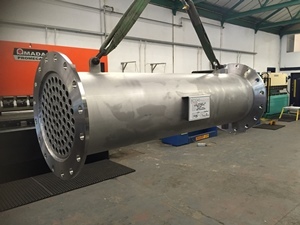 A standard biogas cooler consists of 1No tube/shell cold water/biogas heat exchanger. 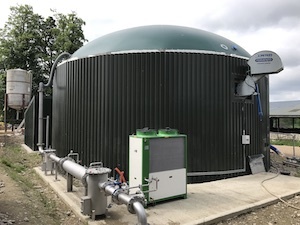 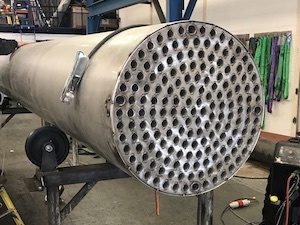 We manufacture our Biogas Cooling Systems in 316 Stainless Steel and cold water is provided by an industrial grade water chiller.